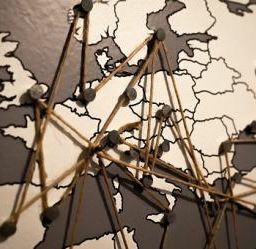 Moving around Europe is a rather complex process, unless you have a job offer at hand. Not only does it involve some rather serious financial investments, but also some dedication. After all, moving to the country next to yours could mean learning a whole new language and immersing yourself in a completely new culture. But, as we’ve already covered the topic of beautiful islands and learning languages in our previous posts, this week we have a bit of a different topic. When moving to a different city, there is a common question that you ask yourself: Will I be happy here? So, this week we will be focusing more on this mysterious question. We hope that by the end of this post, if you didn’t have a destination in mind, you will have one. After all, these are the capitals in Europe which have some of the happiest people in the world living there! Vilnius is the capital city of Lithuania and it tops our list for the most satisfied population of a capital in Europe in 2016. According to our sources and analysis, ninety-eight percent of the residents in this city are completely happy with their lifestyle there. And, why wouldn’t they be? 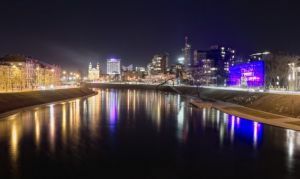 Vilnius is a cozy place, with a relaxing pace of life that you would definitely be happy with after moving. There are plenty of opportunities for a social life, including a vibrant night-life. It doesn’t matter if you are a day coffee drinker or a clubber. There are a number of places which can satisfy all of your needs, from pop to rock music and from a younger to a mature crowd. You will surely be happy after moving to Vilnius. If you won’t be happy without a store nearby at the odd hours of the morning, you will definitely be satisfied in Vilnius. There are plenty of places within reach, which will satisfy all your needs, from clothing to culinary delicacies. In case you’re worried about traffic jams, you will be happy after moving to Lithuania. According to the residents, Vilnius doesn’t have almost any traffic trouble. In fact, it takes from thirty minutes to an hour to cross the whole city. And, the trip to the airport is even shorter, in case you choose to travel after moving. If you’re wondering about the prices, this capital is considered affordable by European standards. The quality of life is great, which will make you satisfied after moving to the city, and the cost of living is low. This is the capital city of Sweden and a rather charming, though not that warm, place. Don’t worry, though, we promise that the temperatures won’t drop too much and that your new neighbors will show you how to be happy and safe about the wintertime. However, let’s see if you will actually be happy after moving to Stockholm? Most of the people who’ve recently moved to Stockholm note the charm of the town itself. It’s not only in the history all around you and in the breathtaking scenery from numerous viewpoints which the settlement provides. The archipelago simply has a soul which begins to live inside of you after moving there. If you’re worried about the traffic, due to the nature of the city, you shouldn’t be. We promise that you will be happy after moving to the city, even if you are taking the pendeltag (commuter train). The locals will be happy to receive you and help you out with anything you need, though, they will want you to respect their peace. One of the reasons why the residents here are so satisfied is because the city allows them their own quiet time. 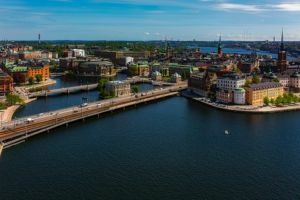 Though, we feel that we should warn you that you may not be happy after moving to Stockholm because of the cost of living there. Climate: four seasons and much warmer than Stockholm! The wonderful and relaxed capital of Denmark is a remarkable place to see and an even better place for moving to. 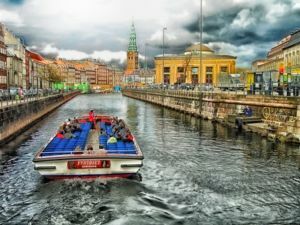 The residents of Copenhagen have scored an amazing ninety-seven percent on their satisfaction survey, sharing the second place with our previous city on the list. If you’re wondering if you’ll be happy after moving to Copenhagen, let us tell you a bit more. 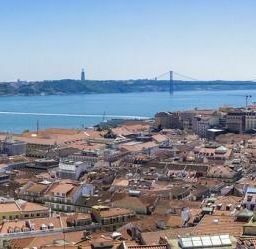 This is a beautiful city on the sea with numerous views and plenty of history. If you are an art lover, you will be delighted after moving here. In case you’re wondering about the locals, they are more than just friendly and relaxed. In fact, they might even join you for a pint and a nice, casual conversation rather randomly. The traffic jams aren’t many, so you ought to be happy about that after moving to Copenhagen. Why? Well, the residents here prefer a different mode of transportation: a bike! So, if you’ve always wanted to lose your car and not really worry about paying for gas, you will be satisfied after moving to Copenhagen. In the end, it’s not only going to be good for your health, but also for the health of your environment. Copenhagen has plenty of opportunities regarding night-life, as well. But, if you are more of a shopper or a café person, you will be satisfied after relocating. There are plenty of bistros and boutiques to keep you occupied during your off-work time.